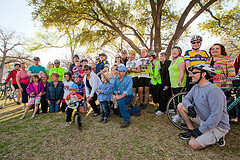 Join Mayor Betsy Price on a Bike Ride through Oakhurst! Thanks again to all of the attendees and volunteers that made this event such a success. Little Free Library is Open!